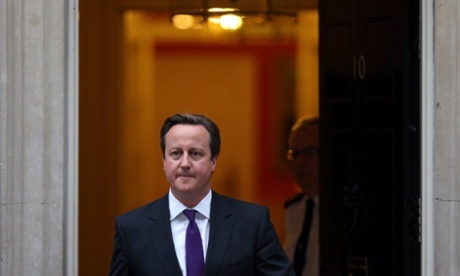 My Big Mouth: Cameron’s reshuffle: too little, too late? Earlier this week British Prime Minister David Cameron announced a reshuffle, one which he hoped would show more diversity in the party. The main difference? An influx of women in top positions and as many papers pointed out ‘no sentimentality’ when it came to top officials such a Michael Gove. The question is, why has Cameron suddenly thrown this mix together? While many celebrated as figures such as Gove were removed or demoted, they are also suspecting there is something deeper than a change of heart. After the backlash from the education sector following Goves actions in the last year, it really is no surprise that Cameron was quick to appear to be doing something in favour of the public. To win them over not only has he removed anyone who could damage the parties reputation (although this begs the question, is the damage already done? ), he has also brought in female ministers to combat accusations that the cabinet is not diverse enough to tackle Britain’s needs. Of course, finding women in the top roles in Britain is a positive step towards equality in politics, however, there is also a great deal of scepticism about the timing. Is it a little too coincidental that it is a year before election time? Or perhaps after the Tories suffered an embarrassing defeat in the last polls, losing to UKIP? It is easy to see this as a tactical move rather than a women being right for the job, as Cameron suggests (which I do not doubt they are), then why are the British public only seeing them now? Mumbles of positive discrimination dominate the country, it is also obvious that there is some worry within the party. With much of the general public sick of endless cuts, threats to the NHS and ethnic minorities feeling under-represented it is no wonder there has been a drastic change. Although if the reaction is anything to go by this many be too little, too late. My teenage sister, Happy Birthday!